It is estimated that vitamin A deficiency (VAD) affects nearly 150 million children worldwide, predominantly in developing countries. Fortification of edible oils has been proven to be one the most effective interventions to fight VAD. In countries such as India, Bangladesh and Pakistan plant-based ghee and rice bran oil are also popular and fortified with vitamin A. To monitor that the oils are fortified at adequate vitamin A levels, the end product must be tested for vitamin A concentration. Analytical methods to measure vitamin A in oil are complex and expensive at around $100/sample. Qualitative methods are frequently not applicable for all types of oil. iCheck Chroma 3 is a portable, single-wavelength photometer for quantitative measurement of vitamin A in edible oil in 3 simple steps. 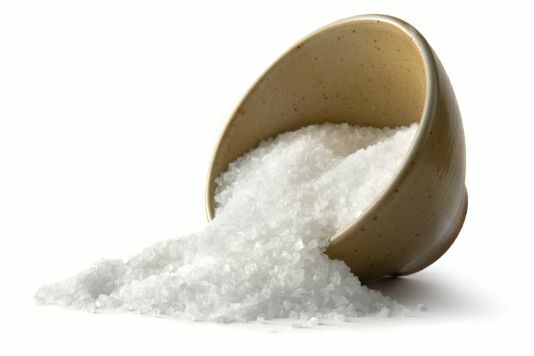 It is validated to measure vitamin A in major types of edible oils such as refined palm, soybean, sunflower, coconut, corn, peanut and cottonseed oils*. Now, with the support of the Global Alliance for Improved Nutrition (GAIN), BioAnalyt has validated this new method enabling the easy measurement of Vitamin A in plant-based ghee and rice bran oil. 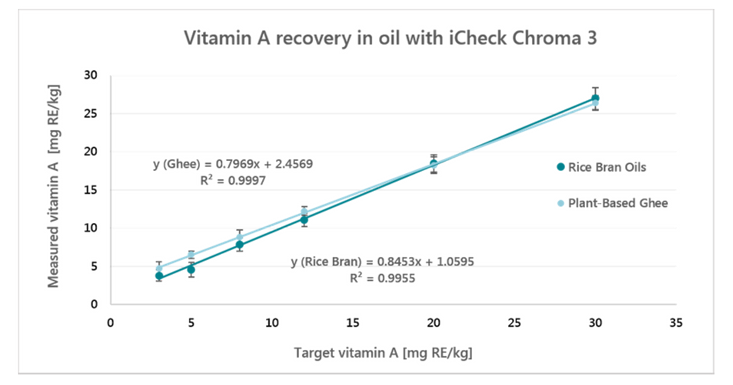 Plant-based ghee samples from Pakistan and rice bran oil samples from Bangladesh were spiked with known concentrations of vitamin A. Spiked samples were repeatedly measured with iCheck Chroma 3 to assess recovery and repeatability of the measurement results. Across the typical fortification level of 5-20 mg RE/kg (17–67 IU/g) the recovery of vitamin A in rice bran oil is 94±3% and for plant-based ghee 108±17%**. *Quantification of vitamin A in palm oil using a fast and simple portable device: method validation and comparison to HPLC. F. Rohner et al. Int. J.for Vit. and Nutr. Res., 81 (5), 2011. **Internal Validation reports. Contact us at support@bioanalyt.com for further details.